Blouse by LAURÈL with a V neckline and decorative knot detail at the long half sleeves. 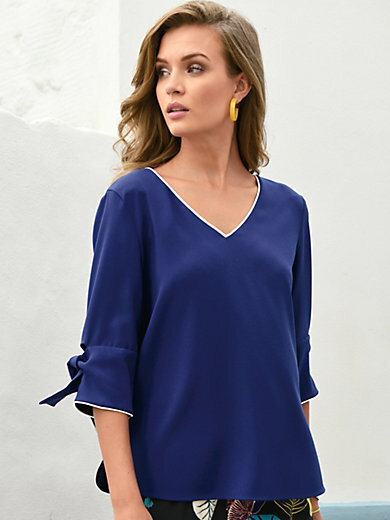 Comfortable and uncomplicated, the new blouse style is made from non-crease material in a vibrant trend colour. Casual style with rounded side slits. 82% triacetate, 18% polyester. Length approx. 62cm/25ins. The blouse is machine washable.